Do you celebrate Christmas watching the Hallmark Channel? 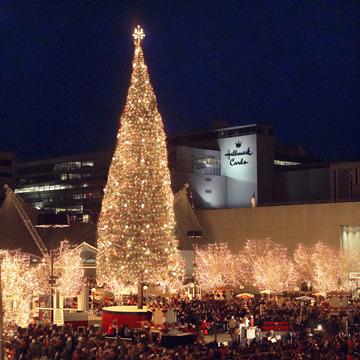 Come and enjoy the fun and merriment first-hand on American Classic Tours’ Hallmark Christmas and Kansas City Holiday Lights trip. Experience the heartwarming sentiments of Christmas past and present with a visit to the Hallmark Visitors Center and corporate headquarters which features exhibits about the company's history including historic greeting cards and postcards, Christmas ornaments, exhibits from the company's art collection, and displays about the Hallmark Hall of Fame programs. Flight to Kansas, City, Missouri. Free time for lunch on own at Kansas City’s Crown Center. Visit the Arabia Steamboat Museum - a true time capsule of frontier life in the 1800s. The Arabia, full of 200 tons of supplies for general stores, was headed up the Missouri River in 1856 when she struck a tree snag and sank just north of Kansas City. 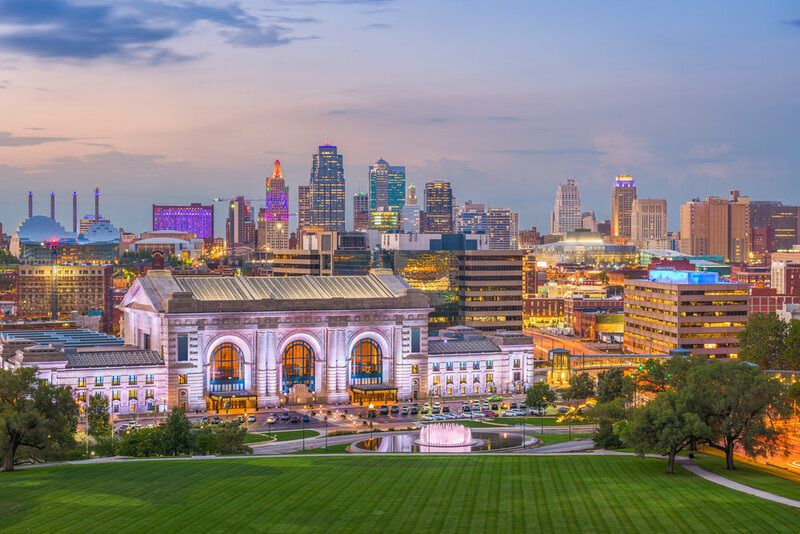 In 1988 the Arabia was uncovered, only to discover fine dishware, clothing, and even bottled food all preserved in remarkable condition, giving it the nickname “King Tut’s Tomb of the Missouri River.” Check into the Westin Crown Center Plaza in Kansas City, MO for a 3 night stay. Welcome dinner at the hotel. Breakfast at hotel. Guided tour of Kansas City. Free time for lunch and shopping at the Country Club Plaza of Kansas City. The unique architecture of this historic plaza is Spanish-influenced with statues, murals, tile mosaics and a replica of the Giralda Tower of Seville, Spain. Tour the Hallmark Visitor Center, celebrating the Hallmark story in a display of 14 exhibits, from founder J.C. Hall’s humble beginning in 1910 to the creation of one of the world’s largest greeting card companies. Dinner & professional theater production to be announced at the New Theater, Overland Park, KS. Breakfast at hotel. Tour the Harry S. Truman Home & Visitor’s Center. 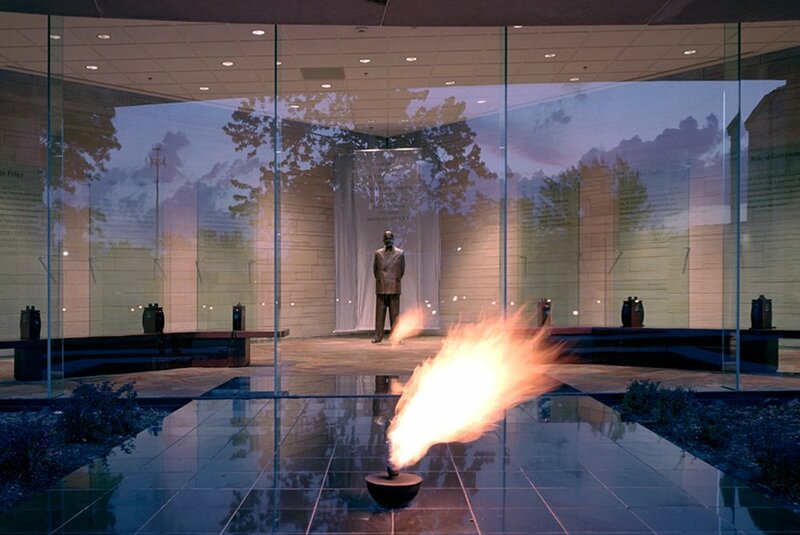 Visit Harry S. Truman Presidential Library & Museum, Independence, MO. Enjoy a film by producer Charles Guggenheim, exhibits and memorabilia on Truman’s presidency and private life. Of special interest is a full-scale reproduction of the Oval Office circa 1948 and the gravesites of Harry and Bess. The Museum has completed a $22 million renovation which includes a new multi-media exhibit with two interactive decision theaters on the Truman presidency. Tour the Bingham Waggoner Estate ca 1855, festively decorated for the holidays with lunch included. Dinner at the western influenced Golden Ox Restaurant located in the Livestock Exchange Building in the heart of the historic stockyards area of the West Bottoms. Horse-drawn carriage ride through historic Country Club Plaza illuminated with its famous holiday light displays, a tradition which began in 1925. Eighty miles of Christmas lights accentuate each dome tower and window of the plaza. The Plaza’s popularity and reputation has been recognized around the country. The entire 15-block outdoor district, with more than 150 shops and dozens of fine restaurants, makes The Country Club Plaza a premier upscale retail, dining and entertainment destination. Breakfast at hotel. Visit KC Strings Violin Company. Tour the World War I Museum with lunch included. The museum honors the men and women of the “war to end all wars.” Experience the trenches and bomb craters so famous during this war and take some time to visit the Liberty Memorial Tower. The museum was designated by Congress as the nation’s official WWI Museum. Flight from Kansas City, MO to Chicago. $650.00 deposit per person with reservation. Final payment due 9/1/19. Refund Policy: Cancellations prior to or on 9/1/19 receive a full refund less a $50 cancel fee. Cancellations after 9/1/19 with insurance purchased, refunds will be processed through Travel Guard Insurance. Cancellations after 9/1/19 without insurance purchased, there is no refund.